The tortilla adds a delicious crunchy shell and it smells so good while it is cooking. I actually made up this recipe from items in my kitchen and couldn't believe how wonderful it tasted! Mix the first six ingredients (eggs, bacon, milk, garlic, lemon pepper and salt) in a bowl. Set aside. Lay the flour tortilla in a glass pie dish, press gently - does not need to lay perfectly flat against dish. I don't spray it prior and have never had any issues with it sticking. Especially when made using a glass pie pan. Sprinkle only 1/2 cup cheese on tortilla. Sprinkle remaining cheese and the spinach onto tortilla in layers, and press gently. I don't chop or tear the spinach but you might opt to do this. 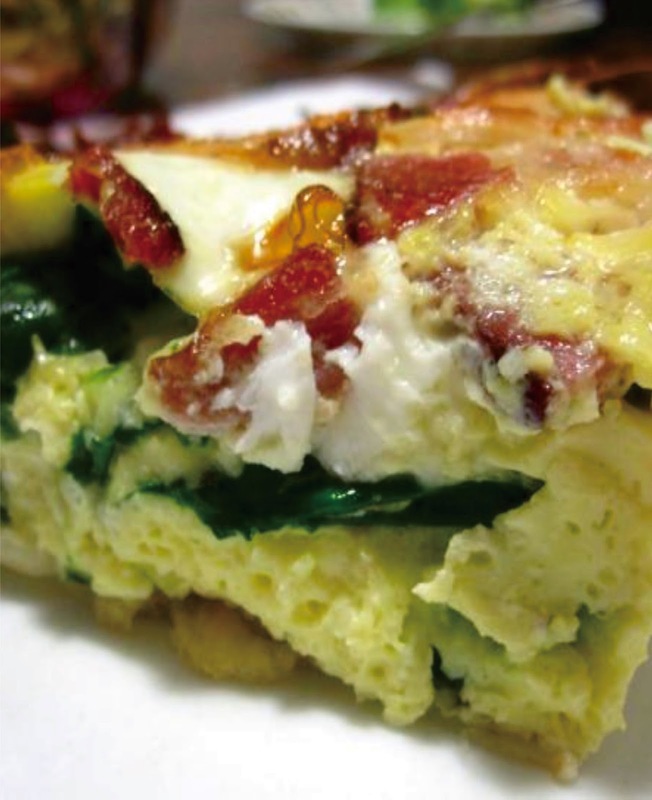 Pour egg mixture evenly over spinach, be careful not to pour any outside of tortilla as this causes it to stick to pan. Bake in oven at 365 degrees for 35 to 45 minutes. Insert fork in center and it should come out clean. Use sharp knife to cut into pie slices and serve hot. Other options: Instead of garlic, you can use 1/4 cup onions. For added flavor, serve with homemade salsa.